Product categories of Electronic Repeller, we are specialized manufacturers from China, Electronic Repeller, Electronic Cockroach Repeller suppliers/factory, wholesale high-quality products of Electronic Insect Repellent R & D and manufacturing, we have the perfect after-sales service and technical support. Look forward to your cooperation! 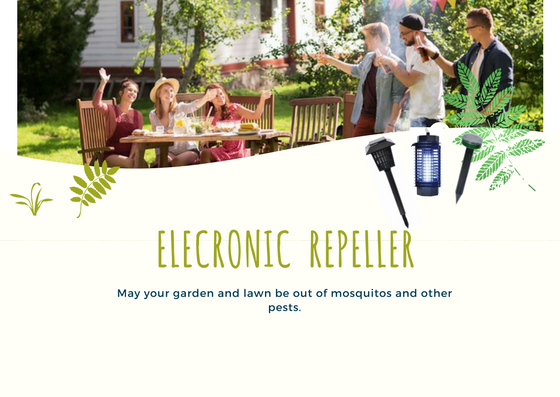 The Electronic Repeller is one of the most recent developments in pest repellents.These electronic repeller work by causing ultrasonic waves through the air. The aim is that this electromagnetic technology drives mice, moles, mosquitoes hurrying from the realm, makes an invisible barrier for the pest and never to be seen anymore. Our electronic repller is certificated by CE, ROHS, may be sales on European and American markets. These electronic repeller is primarily featured by safety, no chemical, odorless, no harm to pets and other no-target animals. Compared to other competitors, this device is more clean and tidy, and could be used year and year.